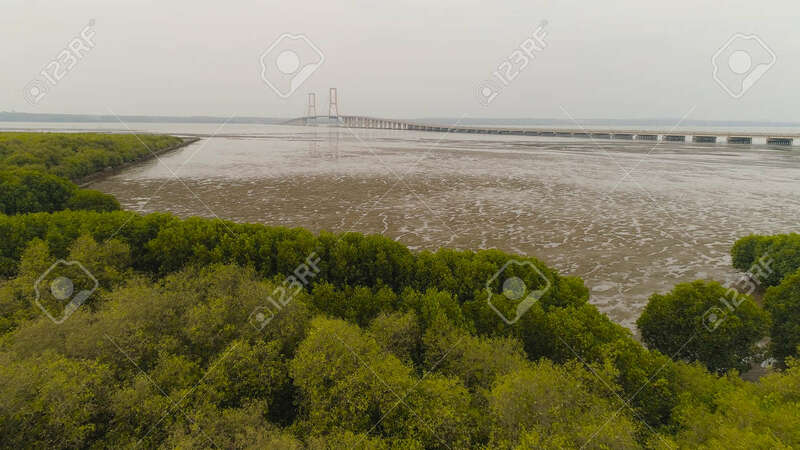 Aerial View Mangroves And Suspension Cable Bridge Suramadu Over Madura Strait Connecting Islands Java And Madura. Surabaya High Coast Bridge With Highway. Java, Indonesia Lizenzfreie Fotos, Bilder Und Stock Fotografie. Image 115258604.